Canisters of cake frosting are not available in customized colors. 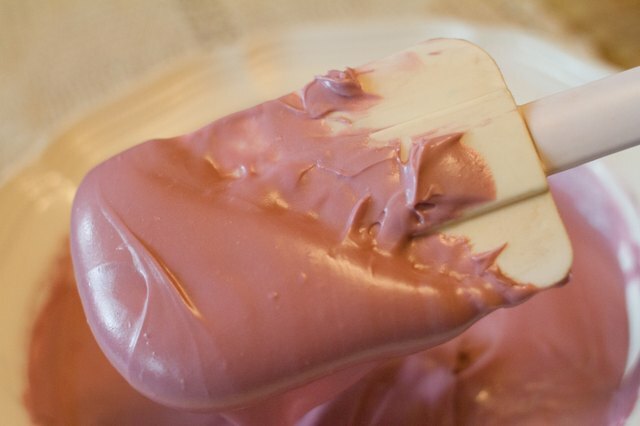 If you want a deep maroon icing on your cake, for example, you must make it yourself. 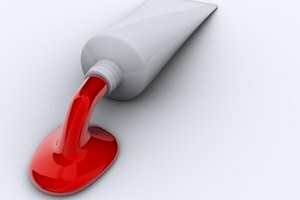 But you can't necessarily rely on the tiny squeeze bottles of food dye used to color eggs; these are not strong enough to get the vivid, dark burgundy color you need. 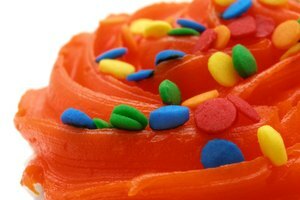 While professional bakers use food color gels for a more concentrated source of color, there is more to coloring icing than just adding the gel and mixing. 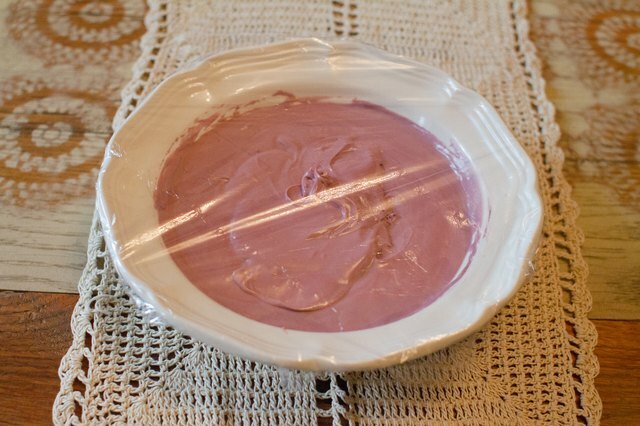 Drop five drops of rose pink food coloring gel and one drop of violet food coloring gel into 2 cups of white icing. 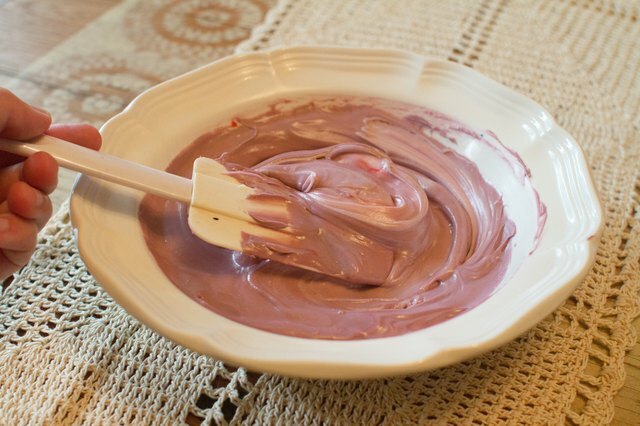 Stir the mixture with a spatula in order to evenly distribute the color. Check the color. 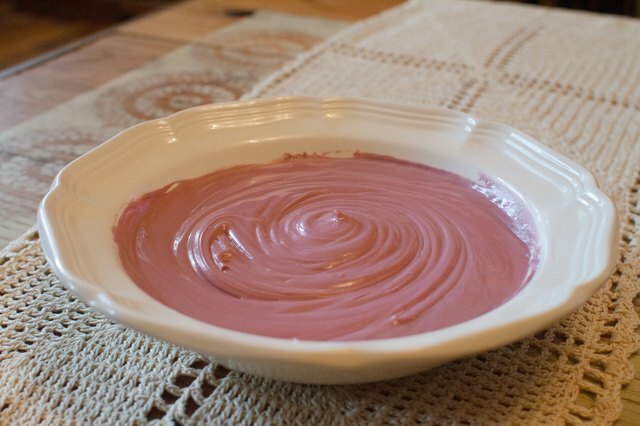 You can add five more drops of rose pink food coloring gel and one of violet food coloring gel if the mixture is too light for your liking. Stop adding coloring approximately one shade before it reaches the ideal darkness. Cover the icing and let it sit for one hour. 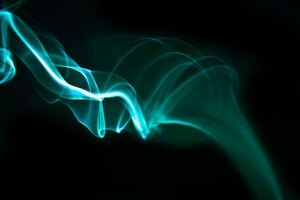 This period of rest allows the colors to fully develop and darken. 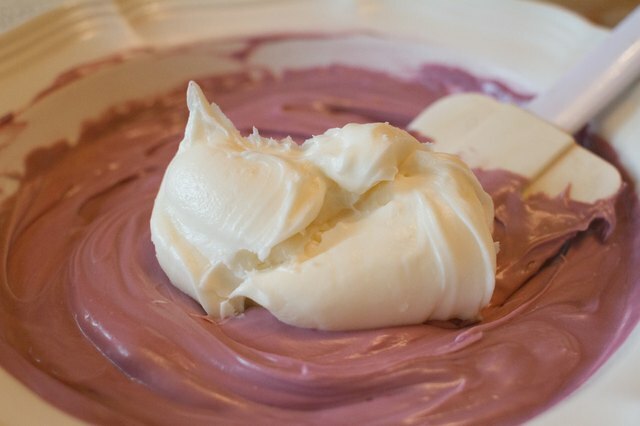 Mix in additional white icing if the maroon icing darkened too much during the one hour resting period. 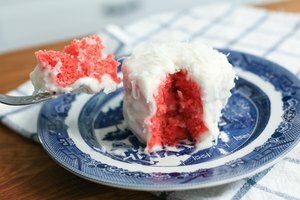 Conversely, you can add five parts of rose pink food coloring gel to one part violet food coloring gel to darken the icing even more.